Our vision is for all people to be reconciled with God and to one another through Jesus Christ our Lord. We strive to be a loving vibrant and growing congregation. We seek to strengthen our faith through the framework of our Methodist heritage. 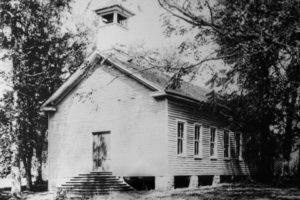 Although the Dahlonega Methodist Church was not organized until 1835, Methodists were already active in the new gold mining town of Dahlonega. The first pastor appointed to the Dahlonega Mission (by the Georgia Annual Conference of the Methodist Episcopal Church) was Henry P. Pitchford. In 1839/1840 the Methodist Church purchased land on Park Street, and the first house of worship is believed to have been erected the following year under the leadership of Pastor Rueben E. Oslin. Thus, the Dahlonega United Methodist Church is the oldest establishment which has been in business continuously at the same location in Dahlonega. In 1929/1930 the frame Sanctuary was demolished and a new brick Sanctuary was built during the Great Depression under the leadership of Pastor Jesse B. Smith. Three forgotten graves of Revolutionary War soldiers were found and moved during the excavation. In 2008/2009 the Sanctuary was demolished and the current Sanctuary built on the same site during the Recession of 2009. The beautiful stained glass windows, steeple bell, baptismal font and Moroccan-style chandeliers were transferred to the new Sanctuary.